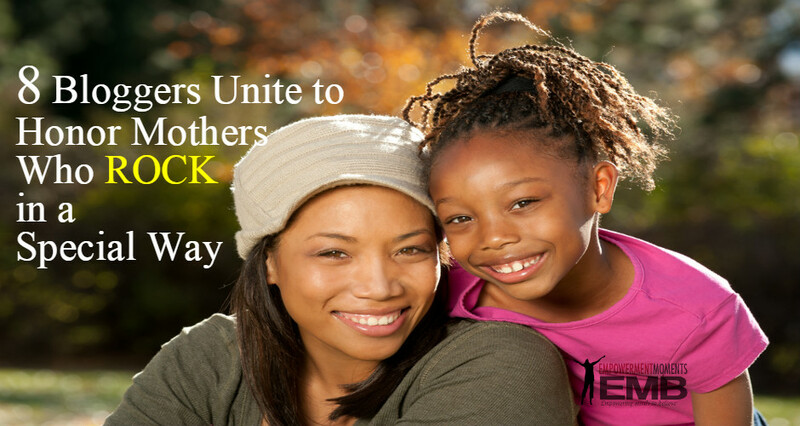 It is the return of EMB’s Mother’s Day special called – Celebrating Mothers Who ROCK! It is the first cash giveaway on my blog. Mother’s Day is Sunday May 8th, 2016 and when the idea came to mind to relaunch Celebrating Mothers Who Rock, I thought about ways in which it could be done differently. Soon after, the idea came, ‘why not do it in the form of a round-up post and add a cash giveaway?’ So here we are with it. Speaking of the cash giveaway, the winners are Jaco Alberts 1st prize $50, Ikechi Awazie 2nd prize $25 and Rohan Chaubey 3rd prize $25. The merit on which prizes were won was based on who submitted their entry first, second and third. Jaco is a Christian blogger and freelance writer who currently lives in Durban, South Africa. He loves writing about faith and how our thinking impacts our lives. It is his mission to end the confusion by showing how we shouldn’t be occupied pre-occupied by what people are saying but rather we should test everything we hear against the one and only true source; the Bible. Read more about Jaca at his website. Her story starts at a tender young age when she was only still a young girl herself. Since child-hood she has been blessed with a yearning to care for other people, but her biggest desire – her passion – was to one day become a mother to her own children whom she could take care of. Her biggest yearning was to have children of her own whom she would be able to shower with love and to take care of them and bless them. As a young school girl, she started praying, bringing her biggest desire to the Lord. The Lord granted her wish, and after being married for two years, she became a mother for the first time at the age of twenty two to our eldest daughter. Two years later she became mother again of our second daughter. As soon as she became a mother, she sacrificed her career to take care of her children in gratitude that her prayer has been answered. Yes, it is my beautiful wife I’m talking about. 1.) Pray to God in faith and put Him first in everything you do, knowing that He loves you. He has your best interest at heart and will give you the desires of your heart (Psalm 37:3-6). 2.) Sowing and reaping: Over the years I have seen how my wife has sown into the lives of our two daughters, how she has unselfishly given of herself without thinking about her own interests, disregarding her own comfort and often doing herself short in support of our daughters. Today, I see the blessings coming back from our daughters, and how everybody wants to be in their presence, there is no doubt in my mind that it is as a result of how Elmarie (my wife) was (and still is) constantly sowing into their lives. All that love, is now bearing fruit as it now flows out from both our daughters too. 3,) Trust: As our daughters grew up, my wife would often be the one to tell me to relax and assure me that the kids would be fine as they became teenagers and started going out with friends. Firstly, trust in God and His divine protection. Secondly, the foundation has been laid in our home, so we could also trust in the judgment of our daughters. Tell their children that they are loved and appreciated. Tell their children that they are unique and special, and that they should never compare themselves to anybody else. Never make a mockery of their children’s dreams, but encourage them, support them and teach them that they can achieve whatever they set their minds too. Thank you for the opportunity to celebrate the most dedicated mother I know – my wife and mother to our two precious daughters. 2. My Awesome Mum, my Love, my Special Gem! Ikechi is the founder and chief writer at Be a Light to the World blog where he gives you personal development tips that will make a difference in your life. His idea is that there is no benefit in playing small because eventually, you will come to realize this fact as you learn about people who inspire their generation to greatness. On April 12th, Heaven rejoiced over a special Gem that was born to the world. A blessing to her generation and the best thing in my life is my awesome Mum. I remember how much the words of my mum have made me firm. I remember those words as they are my hidden treasures. I will never forget these lessons which have always been the foundation of my life. I learned three very important lessons from my Mum. My mum made me discover that I was unique. She believed that God had a purpose for me and never failed to remind me. She heard my cries and yearning to feel among. She saw how much I felt like being loved. She filled the void of my heart with her love and made me see the world in a different light. She taught me to believe in myself and never seek the validation of others to be me. She let me understand that life is intentional when you write your own story. My mum believes in the good of mankind. She is always giving a helping hand to everyone. She is down to earth and always goes out of her way to make people happy. She believes that it is her calling to make a difference in the life of people. My mum loves God so passionately and never fails to share this passion to her children. She is a praying woman and a strong woman who through her struggles has proved that she will not let anything or anyone get in the way of her fulfilling her God given assignment. She showed me that when you love God, you will have peace that goes beyond understanding. Till date, I have experienced God’s awesome love. Children need your love to be firm. Love builds children up and is the foundation of a fulfilled life. Children need to be reminded of the love of Jesus. They need to know that Jesus is with them in good times and bad times. The world is filled with challenges but your words can make a difference. Rohan is a social media enthusiast, programming geek and a young Indian blogger with penchant for personal development. His passion is to deliver high quality web content and helping bloggers, authors, small business owners and startup founders unlock their next level of success using social media and blogging. 3 most important lessons I learned from Mom and ways in which these things impacted my life. Lesson #1: My mom is an incredibly generous person I’ve ever known. I’ve learned to be generous and kind observing her. Being generous may seem hard, but in the long run, it always outweighs any short term greed. Generosity has paid me back ten folds time and time again in whatever I do. Nobody believes it, until they experience it for themselves. Lesson #2: The most caring and altruistic human I know is my mom. Since Jan 2016, my dad is battling to recover from hemorrhagic stroke which paralyzed him. He had a brain surgery so he cannot work and needs intense care all day. My mom’s responsibilities have doubled. She is not only playing her role but also taking over dad’s responsibilities on her shoulders. Supporting a family of five in a metropolitan city (Mumbai – India’s largest city) is a serious job. The way she manages everything is incredible. The first person who introduced me to this quote is my mom. “Not all your friends will be forever with you. You’ll meet many temporary people in your life that are just meant to be your friend for that particular time in your life. So focus on being the best at what you do and help as many people as humanly possible without being a doormat.”—Rohan’s mom. This inspired me to create my own personal role model – ‘Myself’. 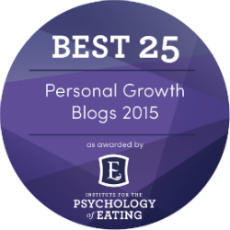 I see my blog as my personal brand which describes my vision of the best version of myself. So I look up to the best version of me and try to be that way. 3 things I believe Mothers should say to her children on a daily basis. We appreciate each other and express our gratitude for having each other’s support. We genuinely exchange the phrase “I love you” often. Every day when I’m leaving for school she reminds me – “You’re the best. Whatever you do, work at it with all your heart”. 4. You Are the Greatest Ammi (Mom) of This World! “I don’t have any problem if all my children don’t have any problem. I am so happy if all my children are happy”. This was the motto of my mother who died three years ago and since then I laugh just to show people I am laughing and I become happy just to convince people I am happy. Motherhood is the only relation in this world that founds on sacrifice from one side. Children have to take every benefit of having a mother while she happily puts her soul for the comfort, happiness and success of her kids. After her death I desperately try to search her in every woman. I know everyone’s mother is the most unique being in this world but despite knowing this I just want to have a little glimpse of her in so many respected women living in my surrounding. The greatness of every mother could be assessed with the fact that each child in a family very confidently claims his mother loves him most. This proves that the motherly love has no alternate. It could be correct if father loves one kid more than the other but a mother’s love is equal to all kids and everyone feels he is the luckiest to have biggest amount of her love. But I don’t know why I still believe my mother loved me more than she loves to all my brothers and sisters. I never asked any of my sisters or brothers how much she loved them. I don’t know why I didn’t ask them but do know this is my innocence to keep believing she loves me most though she and every mother loves most all her kids equally. I love you Ammi (Mom) and pretty sure you would be smilingly looking at me from the heaven right while I am sharing my feelings about you. You are the greatest Ammi of this world. Saurabh works as a webmaster and content writer at All Digital Trends. He loves to interact with minded blogger and write about SEO, Web Design, Development trick and much more. OMG! It’s really hard to figure up in few sentences. She has not only given me advice, she has given me life hacks. There are three suggestions that she is not by any means mindful that she let me know through her activities, not her voice. As my mom is an educator, an essential lesson I have gained from my mother is time administration, and that one don’t advise your plans to others. (Sometimes sharing with others can change your plan) And most important one is that happiness is the most important thing in life. And at this point of my life, I realize this is THE BEST advice she has given to me. It’s a bounty identity that they taught me from an extremely youthful age and that I trust never to lose. 1. Keep up a solid association with everybody. You never know whose help you may require in future. 2. Getting furious won’t give any solution. In case you’re searching for an answer, words and activities are just trust. 3. Respect those who are younger than you, if you don’t do that, don’t expect the same from people above you. My Mother was born in a town, and she has got some desires like living in a good house/bungalow with all the basic luxury that one can have for a happy living. But unfortunately with my father working in a Forest Department those days, she has to wander in some remote villages where there is no power, no proper transportation and most dangerously, with quarters where different creatures like Snakes, Scorpions, Centipedes, mongoose and many things are daily seen wandering around our quarters. I was very young at that time, and I have witnessed twice my mother has been bitten by a scorpion and a centipede and one of the incidents involved to save me from a scorpion. We have lived in such remote locations in my childhood, and my mother is the one who is an 8th standard passed women and who taught me nursery and kindergarten classes as there are no schools nearby. I have joined directly into 1st standard as the school Principal was surprised by seeing the knowledge I got that time due to the teachings of my mother. My Mother since then with four children (I am the eldest, and I have two sisters and a brother). My second sister and my younger brother are lucky to not live in remote locations as my father has got transferred to better towns after their birth. Meanwhile, we struggled a lot with not properly built quarters and many such things. As there is much room to discuss a ton of things here, I am closing this with the three things I have learned from my awesome mother. 1) My Mother is my role model in many of my achievements even today, and I took courage, adaptability, and patience from her. 2) I learned how to save money in the crunch times and in worst times and how to avoid begging or bargaining money instead adjust my lifestyle accordingly. 3) I learned responsibilities and how to handle situations where you have to pass some hard roads. Don’t leave the path of truth: My Mumma always said that whatever the situation I get into I should never leave the path of truth. I followed this lesson religiously, and it helped me in many tough situations. Though sometimes it becomes tough to be on the path of truth, but due to her lesson, I have been following this, and I have always come out of bad situations sooner or later. The end result is always good when you follow the path of truth. Due to this, I have gradually developed more trust in speaking the truth always. Never Give Up: My Mumma always said not to give up ever. I still remember the days when I had a bad day at the exam, and I got disheartened, but my Mumma stood behind me and kept on consoling me and giving the motivation to perform better next time. She used to tell me that if something is not going well now, don’t just give up rather keep on trying. Now, I am happy to say that I have followed her words, and I am somehow successful in my own ways. Many times when my blogs get low traffic and due to that my business goes into loss, I don’t give up rather keep on working. Due to such attitude, I have come out of such bad situations many times. Don’t betray: My Mumma always had a concern that her kids don’t do any wrong things to anyone, and most importantly they don’t betray anyone be it with friends, family, or anyone. I am happy that I got this suggestion from her since my childhood because that filled my mind with only good things. I cannot do any bad to anyone as I always have a fear that if I would do something wrong, I will die with the guilt of doing so. This learning from her has always helped me maintain good relations with my friends, family members, business partners, clients, and anyone with whom I deal. Bonus: My Mom used to tell me that money comes and goes, but relationships stay forever, so handle relationships with care and never break any relationship because of money. 3 things you believe mothers should say to her children on a daily basis. Don’t lie unless it is for some noble cause. Give priority to relationships over money. This poem written by Yvonne I. Wilson was first published here on EMB on May 8th 2013 when we launched our very first Mothers Who Rock series. I take this opportunity to republish it today in honor of my Mother’s Legacy and to celebrate our Mothers with my fellow bloggers. Although my Mom is not alive her memory lives on in my heart and she will be forever missed. I dedicate this poem to all Mothers around the world, Happy Mother’s Day! You Rock! Join us in celebrating and honoring these and all other Mothers around the world. Share your thoughts and kind words for our mothers for this Mother’s Day special. What a wonderful group you have put together to celebrate mothers. Jaco touch my heart as he sees his wife and daughters doing what his mother has taught him. Ikechi’s mother in heaven has taught him to be a spiritual and giving person. But I just know that about him. Now I know where he gets it from. He is a special person and one can tell he has a connection with God. Rohan…I cannot imagine the strength you mother has. So sorry to hear about your dad. She has a lot on her plate, but never complains. She reminds me of my mother. God bless her. Mi Muba…I have the exact same motto as your mother had. I’m sure she is watching you from heaven. Saurabh What a wise saying about respecting those younger than you. Respect is earned. What a powerful message. Gurunath You shared an incredible story and your mom has shown you how to survive no matter what. What a fantastic lesson that is. Atish: Your mother has given you wonderful words to live by “whatever the situation I get into I should never leave the path of truth.” No wonder why you are such a great man. Now as for you Yvone, I had to read your poem twice because I was crying at your beautiful words and my eyes got blurry. I absolutely love it. As a mother, the most powerful thing we can ever do is to give our children the insight to see God’s light. I share the same sentiments – these guys did remarkably well! I was deeply touched as I see similar qualities in all of these Moms as I saw in mine. Rohan’s Mom having to take on the responsibility of his dad now that he is sick brought me back to some years ago when my dad passed away at a critical time in my life when I was in my final year of high school and my Mom had no means of paying for me to do my exams. Not only that she had to struggle to provide for me and my other sibling – it was really tough. So the story of his Mom brought me to tears. There is something from each one that was very touching and truly inspirational. I can tell that you love your daughters immensely, not to mention how much you pray for them. Your daughters shall called you blessed because you have sown these seeds of faith, hope and love into their lives. Your light and love have led her to God. Wow, what an amazing testimony! The evidence of God’s grace! This what you said “As a mother, the most powerful thing we can ever do is to give our children the insight to see God’s light.” is powerful! I will remember this as I pray each day for my daughters. This post is one of the best gifts that Mom can have in the Mother day. As I being a mom myself, we know each of mom gives the best to her children. You may use the term of “sacrifice”, but it still can’t fully describe the deep of it. All those 8 stories are proofs that the work of mom can really touch people heart. directly proportional to Moms’ love on them when they are young. You are a special Mom, having made all the sacrifice you’ve made for your own children. No doubt that your unconditional love for them shaped their destiny in life and have made them who they are today. Wow! I could not help but be amazed by how much mothers are making a difference. Reading these words from my awesome buddies express how their mothers showered them with love and wisdom is an awesome experience for me. Thank you for giving me the opportunity to make this day special for my mum. She wiil love this so much. I am amazed myself! 🙂 and deeply touched by what each person shared. Every mother is special and they hold a special place in our heart. I must say that I was inspired by the poem written for your Mum. I read it so many times and was just thinking about my own Mother and the similarities with both of them. Powerful lessons from your Mum that when we apply those same principles our lives must get better. I agree with every point of what you believe Mothers should tell their children everyday. Parents need to make a positive influence in their children’s lives. Who better to be that influence than Mothers. Thank you from my heart for making this post as great as it is and for making such a positive contribution here. It is one for the history book. Can’t help crying while scrolling down the post and have to convince myself to read its every word courageously fully controlling my feelings. Would never forget how I was feeling while reading it. I appreciate your poem and can never believe you wrote it with a plan or jotting down its points first. It looks you completed it in one go and every world seems to sprouting from the depth of your heard. With due regards and respect a big hug to you for this wonderful tribute to mother and motherhood. Rest of my wonderful friends have equally expressed their thoughts so extempore and it shows from their each word that they just said what they wanted to and this is the beauty of deep-heart expressions. Many thanks for compiling this lovely and unforgettable roundup and first time I would celebrate mother day with a great amount of satisfaction that I shared this time more widely what I have in my heart for my mother. Oh wow! Like you I cried and just keep coming back to this post again and again. As you would imagine, Mother’s Day is never easy – the memories of my Mother would not leave me. So often I wished she was here. This may sound strange but I never got to tell her how much I really love and appreciate her. Sure our actions demonstrated love and care but saying the words “I love you” would have made such a difference. Glad you were blessed by my poem. You are right, I wrote it one time and could never forget the evening as I was writing it and the words kept flowing, I wept uncontrollably. My heart pained me as it oozed the words out and my fingers trembled at the stroke of every key on the keyboard. I am sending you back a big hug my friend. Know that our Mothers though not here with us, loved us and are watching down over us. They are proud of our accomplishments in life. I am very happy to be featured in such a wonderful roundup and I am so thankful to you for considering me. I didn’t get any chance as of now to share about my mother and her love on any media and you have just filled that gap now. I am really heart touched and moved by reading other co-bloggers sharing their experiences and felt so inspired from all of them and what they have learned from their mothers. This one of the good roundups on the special occasions and advanced Happy Mothers Day to all !! So great to have you with us. 🙂 and even more excited that you are part of this wonderful round up post. I am glad that we made your dream come true of being able to share such a personal story about your Mom and for allowing all of us to meet her. She is special indeed. I know most of the times as bloggers we share about the business side of things but not our personal. This allowed us to be vulnerable and to share with others about our Mom not knowing whether are not others would accept. this is one of the most beautiful posts I ever read 🙂 It really is touching . I am happy this young man did such an incredible job in appreciation of the mothers, it will make every mother who reads this happy . What an awesome and beautiful Mother’s Day Gift for all mothers. So glad you made it to check out this post. I totally agree with you that it is really touching. The moment I got Rohan’s entry, tears were already flowing. Such an emotional and incredible share by each one. Very seldom we get a glimpse into our personal lives. If I were to choose a post that has done it, it is this one. It is great to see this post go live indeed. Thank you for the opportunity to be a part of it. I see that blogging is only one of your strengths; very nice poem by you! Well done to each and every one who contributed to the success of this post. And if I may add to what Harleena says about Ahaian’s….it was through your Aha Platform that I have met Yvonne and got the opportunity to start getting involved in projects susch as these. thank you to you too, Harleena. Happy Mother’s Day to all our mothers out there. I applaud your effort and such a valuable contribution that you have made to make this post what it is today. I could not have done it without you and the others who participated. I agree with Harleena’s sentiment about Ahaians. The ability for so many of us to connect and interact with each other is amazing. I got tears rolling down my face reading this post. This is SO wonderful. I see most of the bloggers sounding strategic all the time and this roundup shows our personal side. I applaud you for putting in efforts and time to compile this incredible mother’s day roundup. Thank you so much for inviting me to contribute. I’ll be donating the giveaway cash to the Canadian Red Cross to help the victims of the recent Fort McMurray fire. Will be sending a link to this post to my mom. I’m sure she would be delighted to read this. Like I mentioned in my email, this brought me to tears as well. It is such an emotional and touching tribute to all our Moms. Though there may have been some similarities, no two persons said the same thing about each Mom, which I found so remarkable. It confirms just have special each person is. Thanks for sharing and for your participation and support in this endeavor. Love the vemeo. Great job! I will send via email about the winning prize. Glad to see this roundup post live. This is the first time I am writing something about my mom and her lessons. Thank you so much for including my words. I couldn’t have missed this post, as I know you’d approached me for this, but it’s just been so overwhelming lately my end, that I just didn’t get time to participate. However, I am so happy to read through all that my blogging friend’s – many Ahaian’s, have to say about their moms. Yes, moms have a special place that no one can take – no matter how much they try. I do miss my mom, yet I know she’s always around me, as my pillar of strength. So happy that you made the time to check out this post. I want you to know you are a true GEM among us and I am grateful that we got connected. We are true Ahaians and it is certainly because of you that we are networked to so many other online friends. So with that my dear, we join together and salute you! We celebrate you because you have made your mark here in blogosphere and you are an incredible role model to all of us. We talk about our business side a lot through our blogging but this post have touched the very core of our heart. To share about our Moms is so personal and intimate, yet captivating that we want the world to know about each one of them.